Give your vehicle the rugged off-road look. 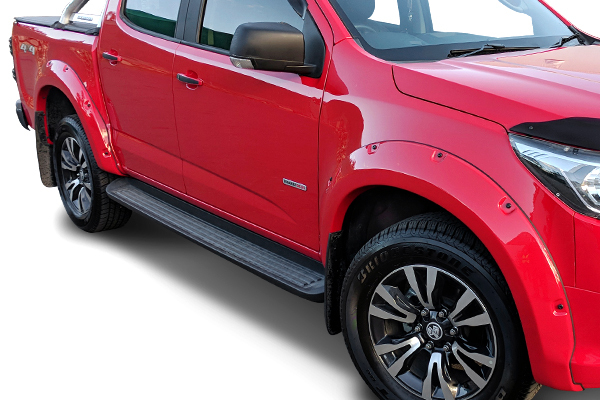 Bolt Style Flares are CAD designed to fit each vehicle application precisely and offer a rugged, yet stylish look to your vehicle. With a no-drill installation, the bolt on style of these flares gives an off-road appeal while not permanently marking your vehicle. Manufactured from high-impact acrylic, each flare is 100% rust proof and UV resistant and offered in a stylish matte black or colour coded options. • CAD designed to be vehicle specific. • Constructed from high-impact acrylic. • 100% rust proof and UV resistant. • Colour coded or matte black options.